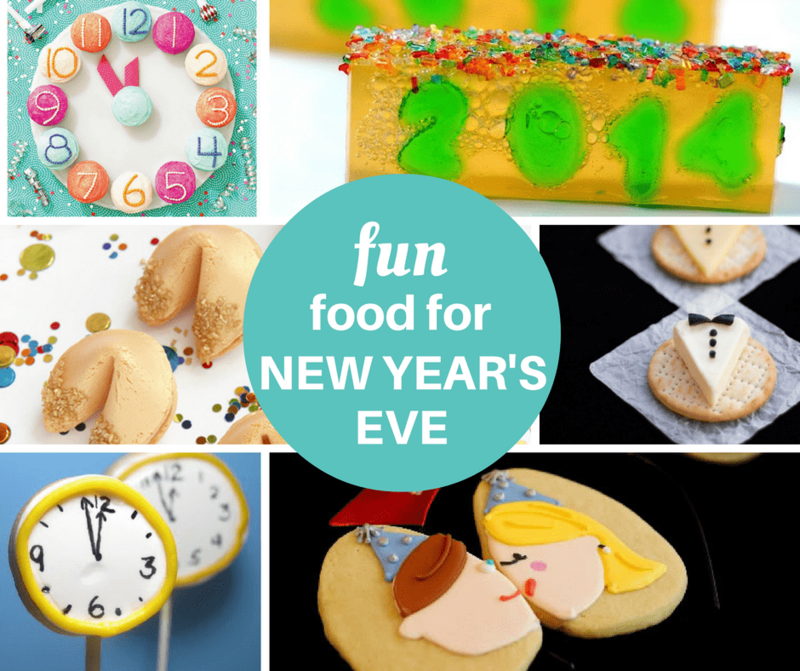 A roundup of fun food ideas for your New Year’s Eve party. New Year’s Eve…. the time for new beginnings, resolutions, changes that will finally be made! Just kidding. I’m not really a big “new year new me” kind of person. January 1st always feels an awful lot like December 31st. But we will be gathering with friends and having some champagne, so there’s that. 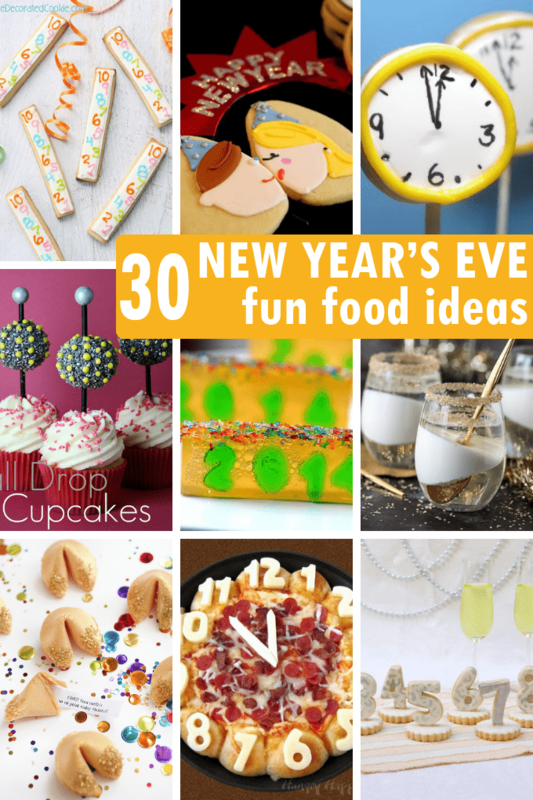 If you are planning on celebrating in any kind of way, here are 30 fun food ideas for New Year’s Eve. Note that some of these are from years past, so you’ll have to use your smarts to change the year to 2017. Egads, 2017?! How quickly time flies. Despite my not-really-being-into-New-Years, I’ve made quite a few fun foods for the occasion, so we’ll start with those. 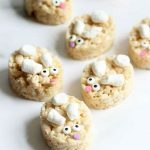 Make ball drop marshmallow pops. 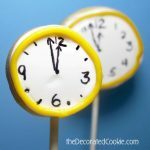 Make clock cupcakes at People. Make sparkling cider jelly shots at ReciPEAS. Make metallic cake pops at Michaels. 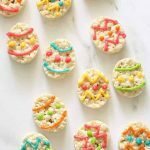 Make ball drop pinata cookies at Hungry Happenings. Make tuxedo cheese and crackers at Kitchen Mason. Make an almost midnight cheesecake at Hungry Happenings. Make crescent roll dippers at Pillsbury. Make champagne Jello shots at Erica’s Sweet Tooth. 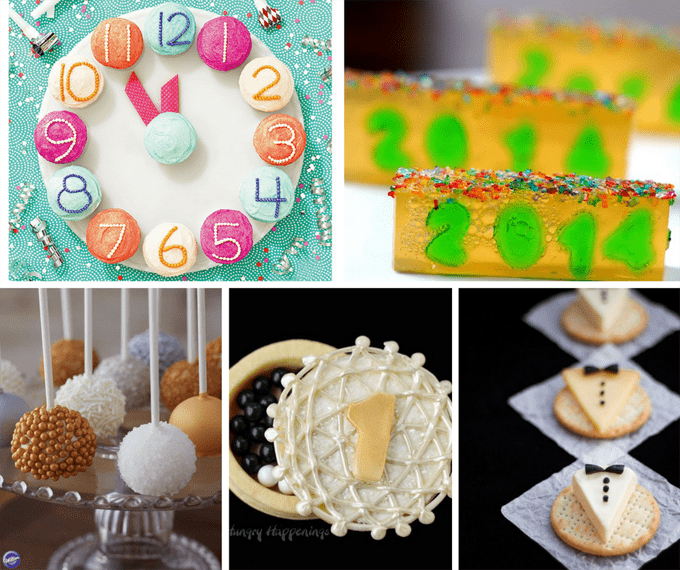 Make a sprinkle New Years cake at The Cake Blog. Make a 7-layer dip for New Year’s at Kitchen Fun with My 3 Sons. 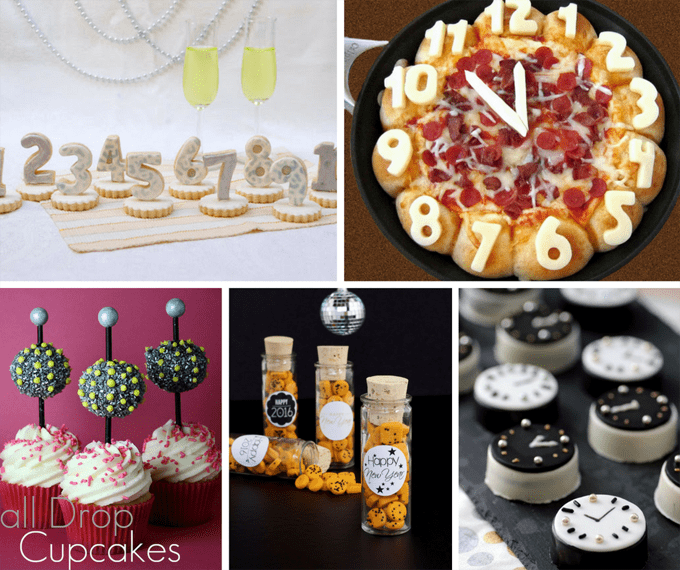 Make a cookie countdown at Haniela’s. 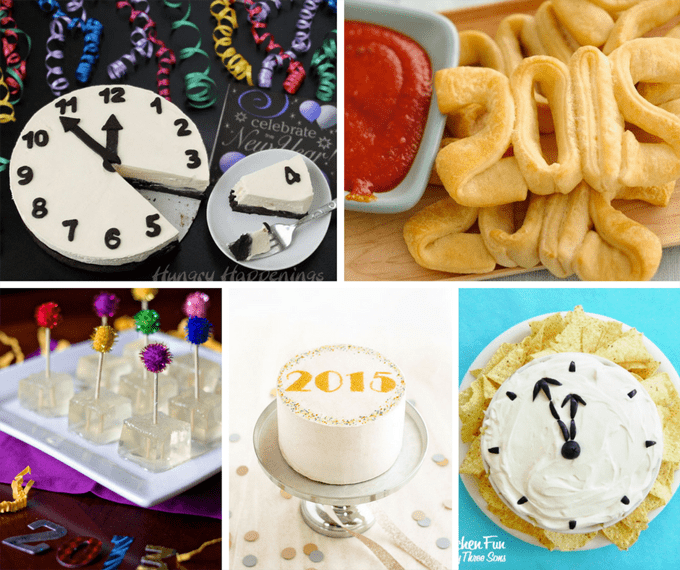 Make a pizza dip countdown at Hungry Happenings. 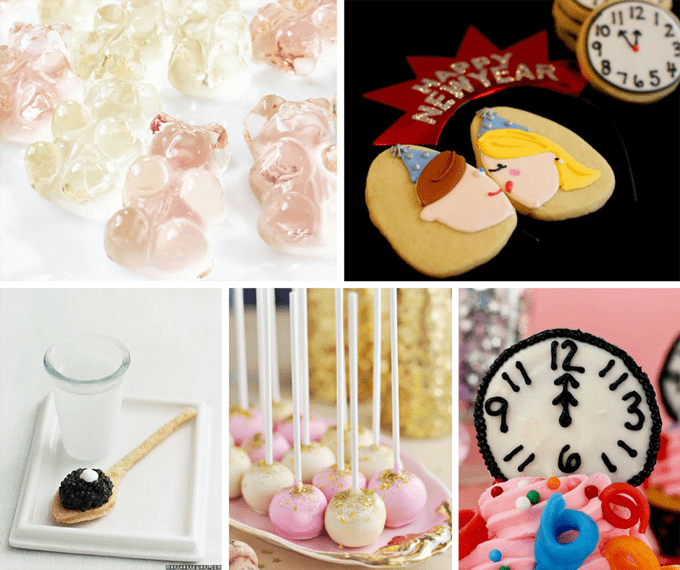 Make ball drop cupcakes at Confessions of a Cookbook Queen. 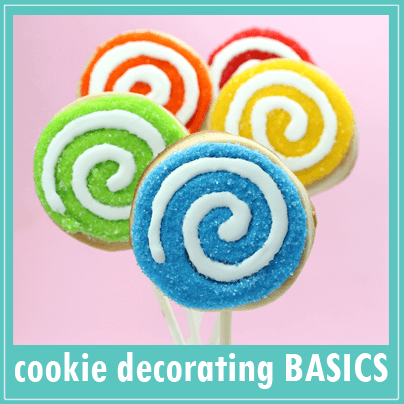 Make cookie confetti at The Bearfoot Baker. Make Oreo cookie clocks at Pint-Sized Baker. 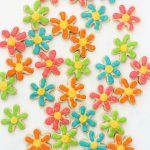 Make champagne boozy Gummy Bears at The Skinny Fork. Make smooching cookies at Bake at 350. Wow. Check out these edible spoons with caviar at Martha Stewart. Make pink champagne cake pops at Sweetapolita. 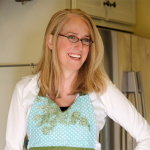 Make almost-midnight cupcakes at Confessions of a Cookbook Queen. 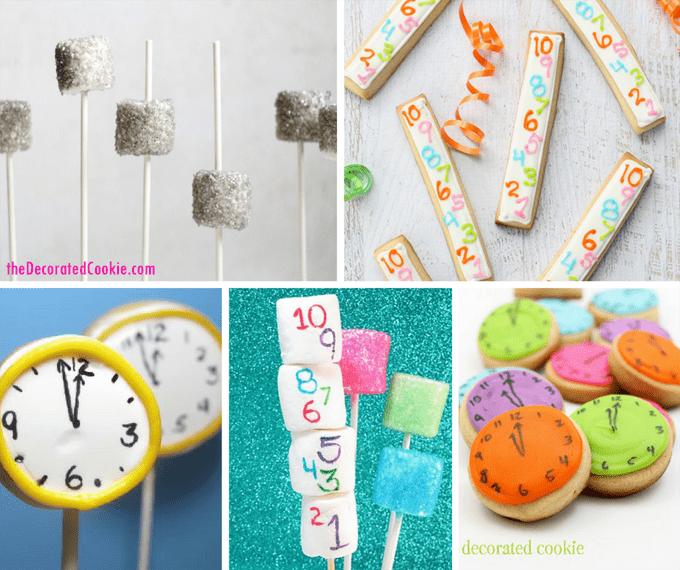 Make confetti clock cookies at Repeat Crafter Me. 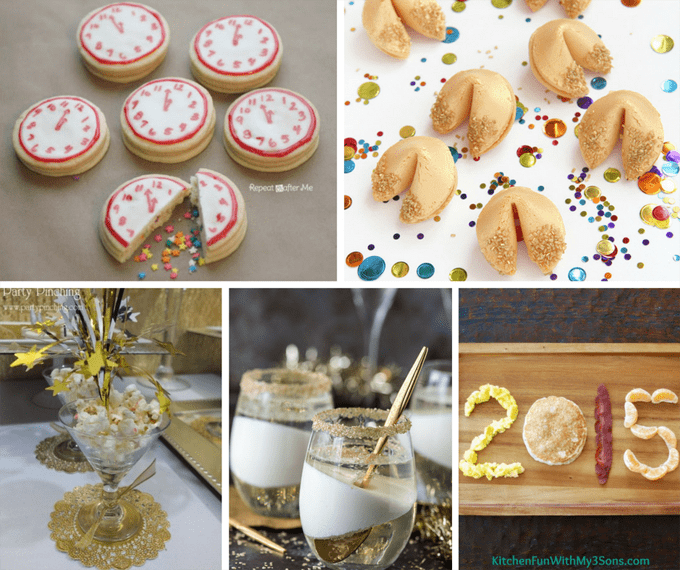 Make glittery fortune cookies at I Spy DIY. Make Pop Rocks popcorn at Party Pinching. 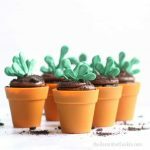 Make champagne Jello cups at The First Year. Start the day with a New Year’s breakfast at Kitchen Fun with My 3 Sons. Hello Rowaida!!!! You just reminded me to start actually posting and following instagram! I’m terrible with it. New Year’s resolution?